Who is Bob Vokey? Click photo to find out!
. This event will fill up quickly! Join us FoRe! Golf benefiting our Programs, Divisions, Charity Teams Crime Survivors FoRe! 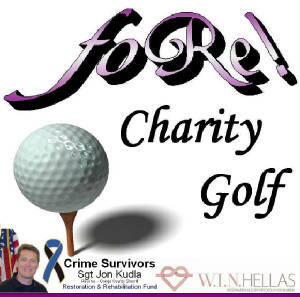 Officer Jon Kudla's caregiver & WIN Hellas FoRe! Mary's Shelter. Use the links above to sign up as a Participant, Volunteer, or Sponsor. A portion of the proceeds will be used in relation to the rehabilitation needs of Officer Kudla via our Charity TEAM, Crime Survivors.